Throughout it all, though, Tzfat has remained a “thin place”. This Celtic term, invented to describe a place where the distance between Heaven and Earth is compressed, neatly captures a subtle quality that a few places possess. Heaven and Earth, the Celts believed, are often closer than we think. But in thin places, you can feel the divine. Thin places are often relaxing, but not always. They might be enjoyable, or they might not. What they always possess, though, is the capacity to transform, to strip away the layers of falseness and striving that define so much of our lives, and to reveal something deeper, something more essential. 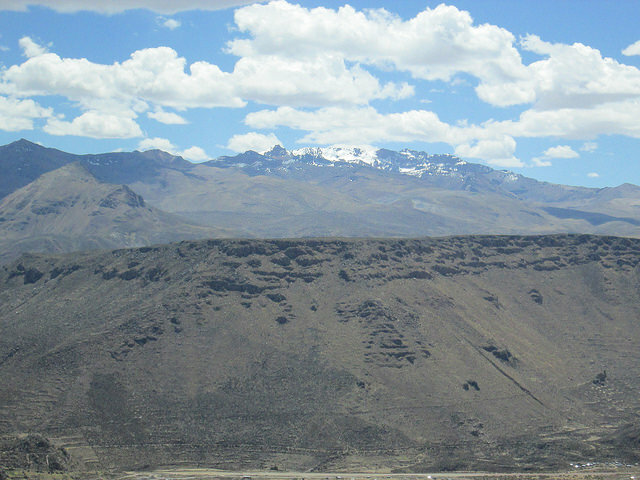 My most recent encounter with a “thin place” was Colca Canyon high in the Andes. 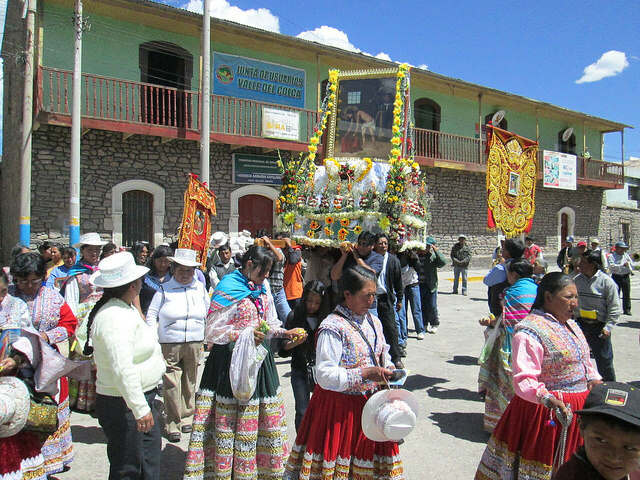 From an elevation of 15,000 feet (4,500 meters) at Patapampa, we dropped down by stages to the town of Chivay, where a religious procession was taking place. My head was buzzing from the high altitude, but I felt that I was in a sacred place, within view of the Apus of the Andes with their snow-covered peaks. Chivay was inhabited by a mix of Collaguas and Cabanas in their colorful costumes. While I was wildly snapping pictures, I felt I was not only living in a different layer of reality from the indigenous locals, but I was privileged to see a religious ceremonial that just happened to be taking place when we arrived in the main square. The mountain peoples of Peru have not always been accepting of foreign visitors. Fortunately, I was not part of a large busload of tourists, and I was the only person from my party viewing the procession. Throughout my stay in Chivay and nearby Corporaque, I felt I was in a thin place. Overhead huge condors rode the thermals, and I was as close as I ever hope to be to the heavens.